Bonn, Beethoven Haus, september 28 2011. 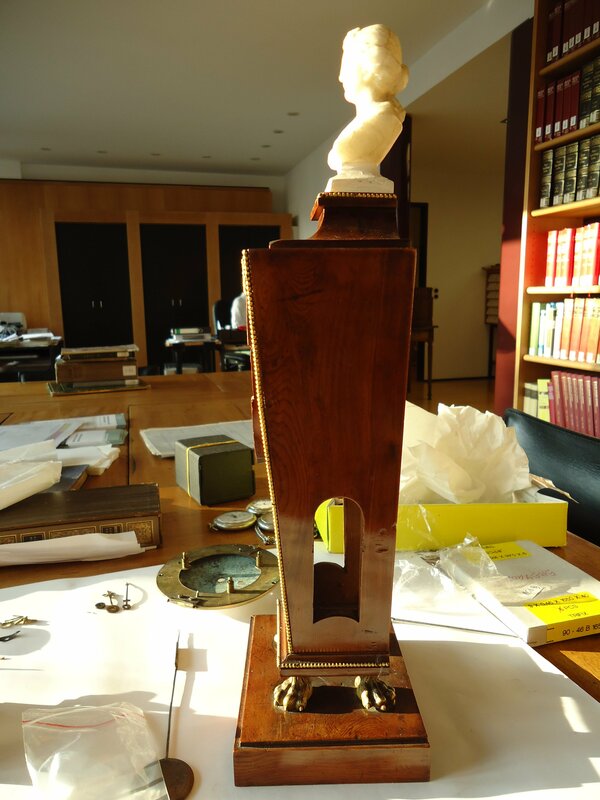 This repair of the Beethoven clock was so long desired and thought since long time ago by me and realized thanks to the determination and willing of Luigi Bellofatto, a Beethoven scholar who wrote articles on the greatest Beethoven biographer Alexander Wheelock Thayer (who spent most of his life in Trieste, Italy) and for whom Luigi wrote a book just published in the USA. 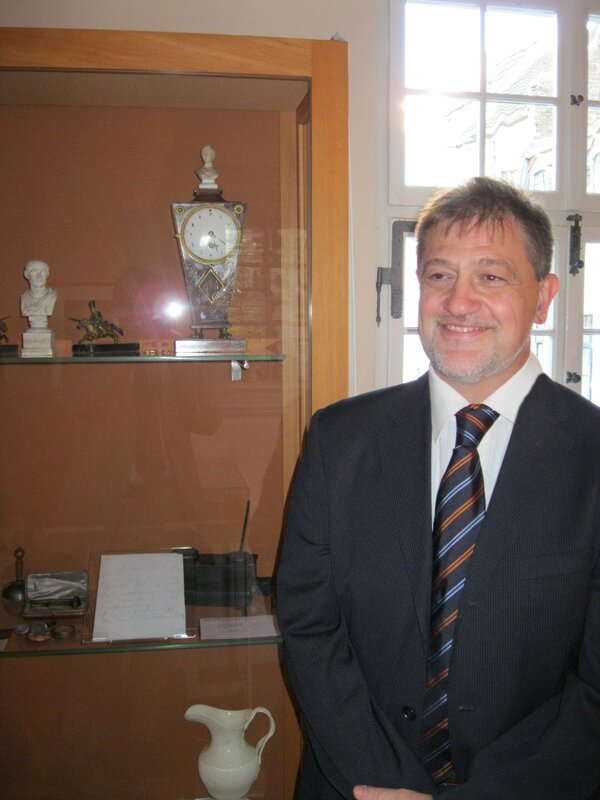 His interest in writing an article on Beethoven watches and clocks led to do a long research and to an two articles written by myself and him, that was published by the Beethoven Haus in the vol. 9/11 of the Bonner Beethoven-Studien (Neue Beethoven Studien – Carus Verlag – 2010-2014, Band 9-11 – hg. 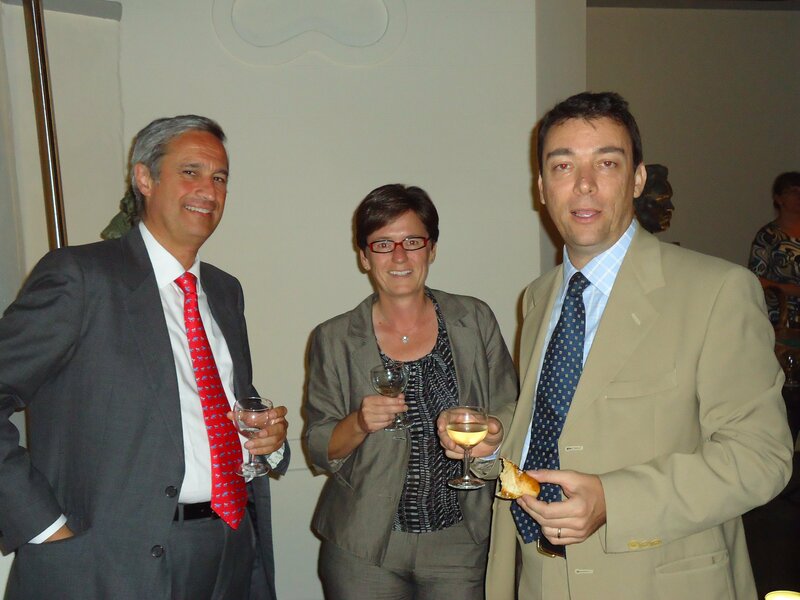 v. Bernhard R. Appel ISBN 978-3-88188-121-0). 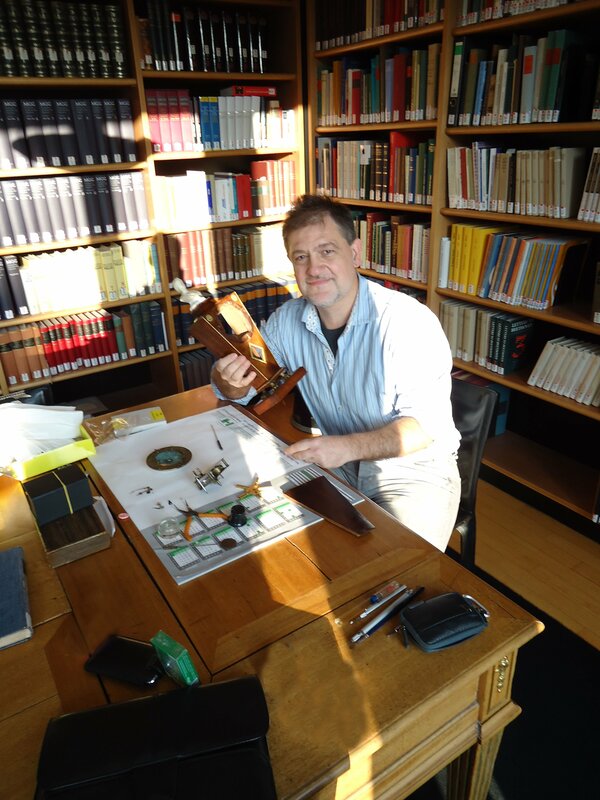 Of course the people involved a part from myself, a professional in Genoa and expert of old watch mechanisms, Luigi Bellofatto and his friend Dr. Michael Ladenburger, director and curator of the collections of the Beethoven Haus in Bonn, whose his precious interest and his kind willing had made possible this work on the clock belonged to Beethoven and preserved at the Beethoven Haus. 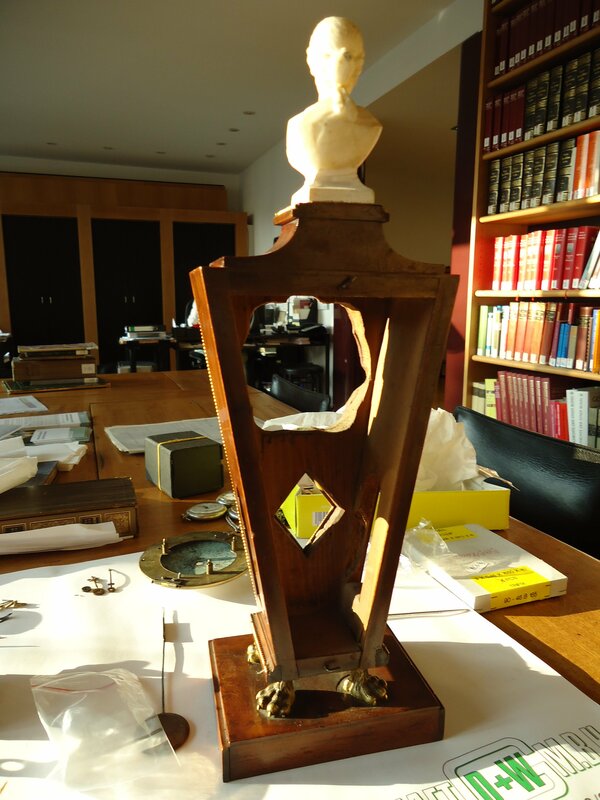 This treasure is preserved in the room 9, called Bodmer room. 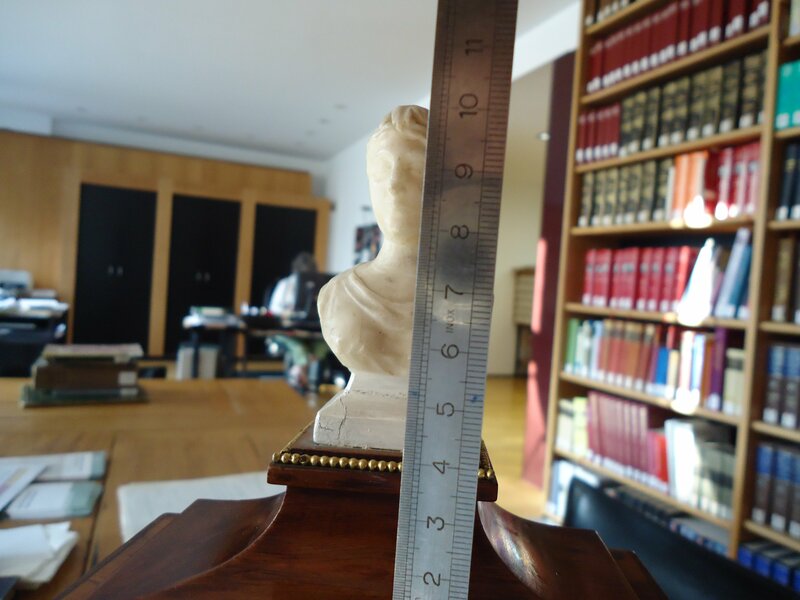 In fact in this room, there are shown most of the objects belonged by Beethoven that were part of the collection of the Swiss doctor Hans Conrad Bodmer; this collection was bequeathed to the Beethoven House Society by him in 1956. 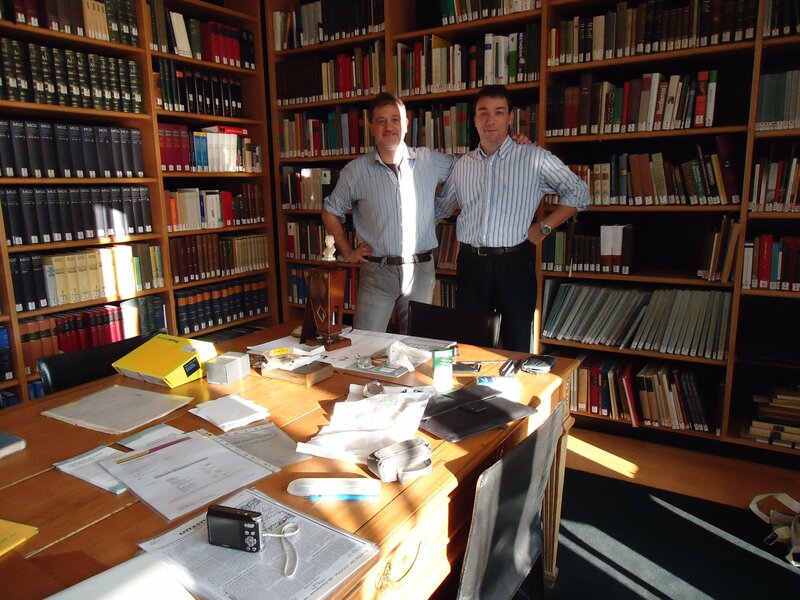 This collection includes numerous Beethoven manuscripts as well as Beethoven‘s travel desk and his normal desk, which Bodmer bought from Stefan Zweig’s collection. 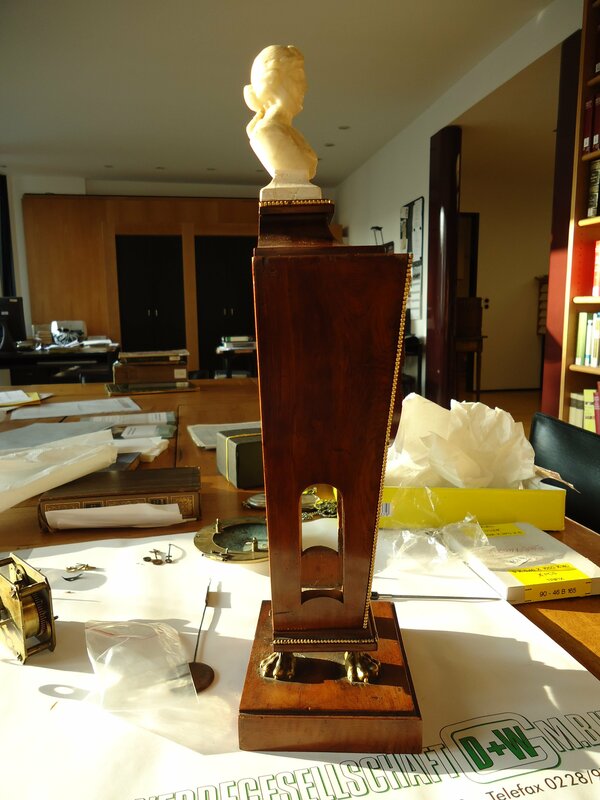 This pendulum clock was and it was given to Beethoven as gift from the Princess Christine Lichnowsky. 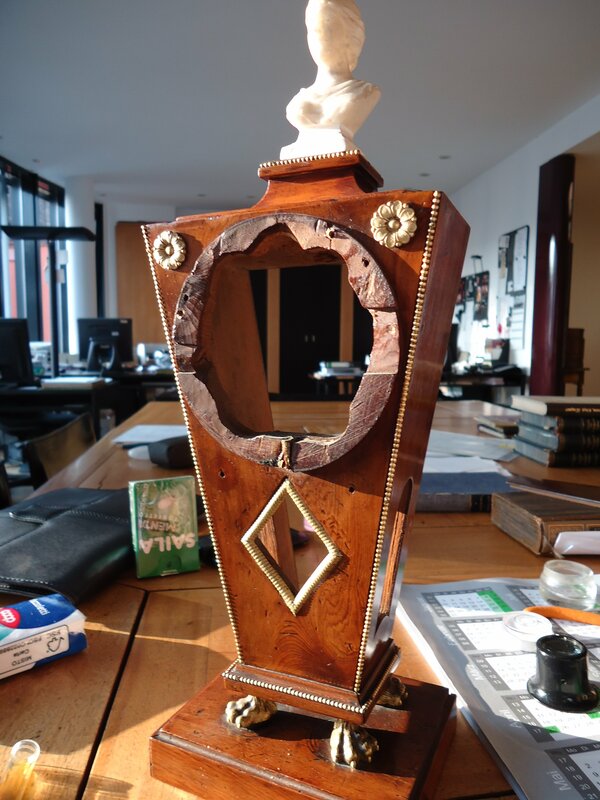 It came into Anton Schindler’s possession after the death of the master, as did many of his other personal belongings. 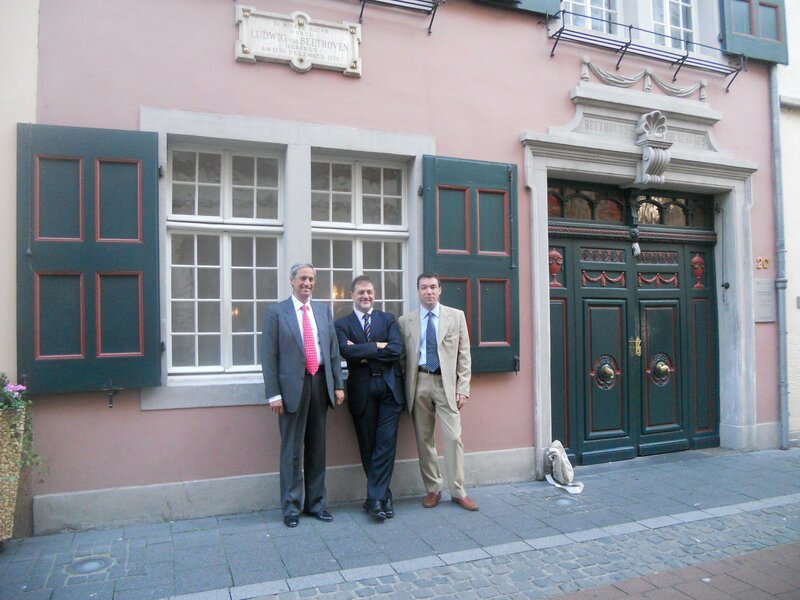 It was then purchased by the collector Carl Meinert and He sold the Beethoven items to the Beethoven-Haus in 1898. 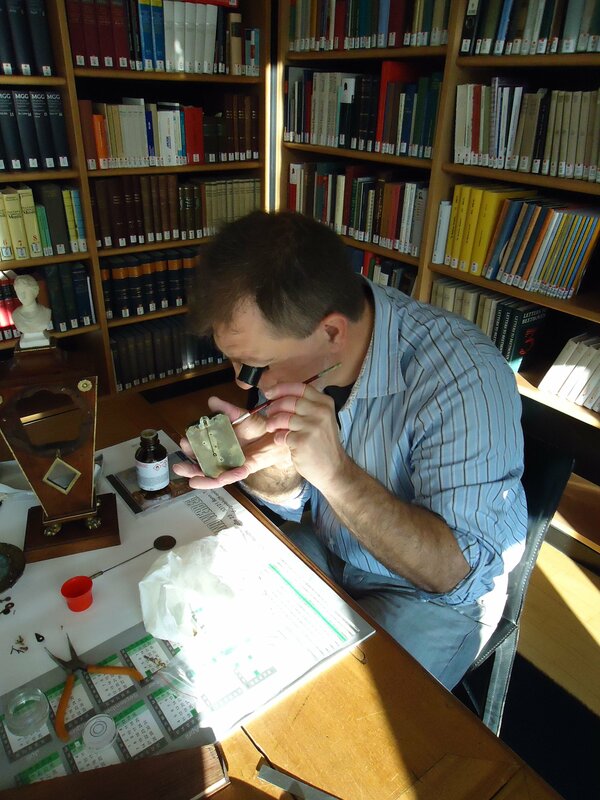 The repair on this clock started at 8.45 in the Reading room of the Library of the Beethoven Haus. 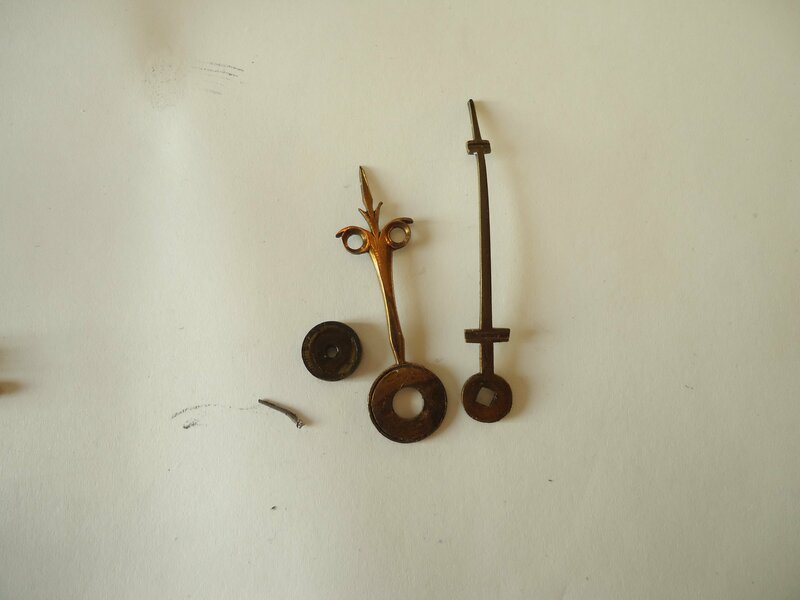 The tools were previously shipped from Genua to the Beethoven Haus, after a careful check that everything was available including any emergency piece. 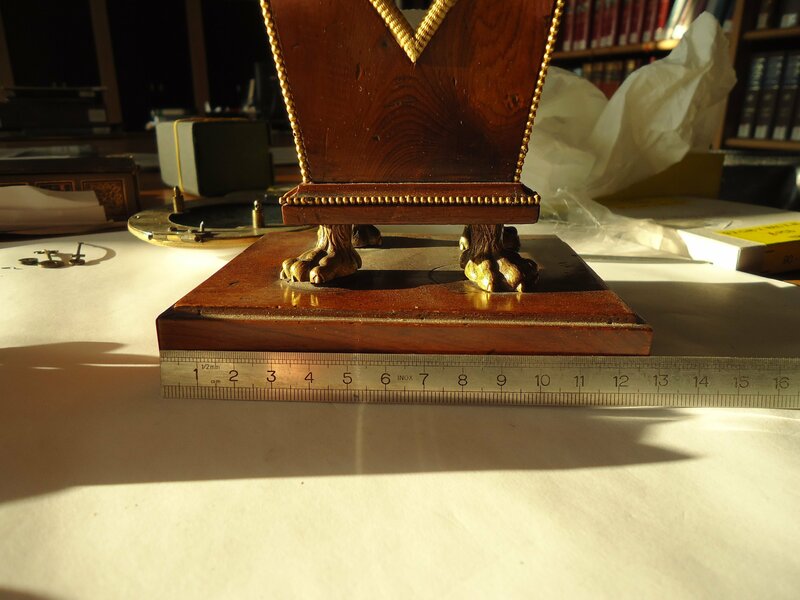 In fact in this case nobody can be totally sure of the result of his work, either for the importance and the time of the object (with sure dated 1810) or for any unexpected behavior due to scarce maintenance of the object, or in worst case due to bad previous repairs. 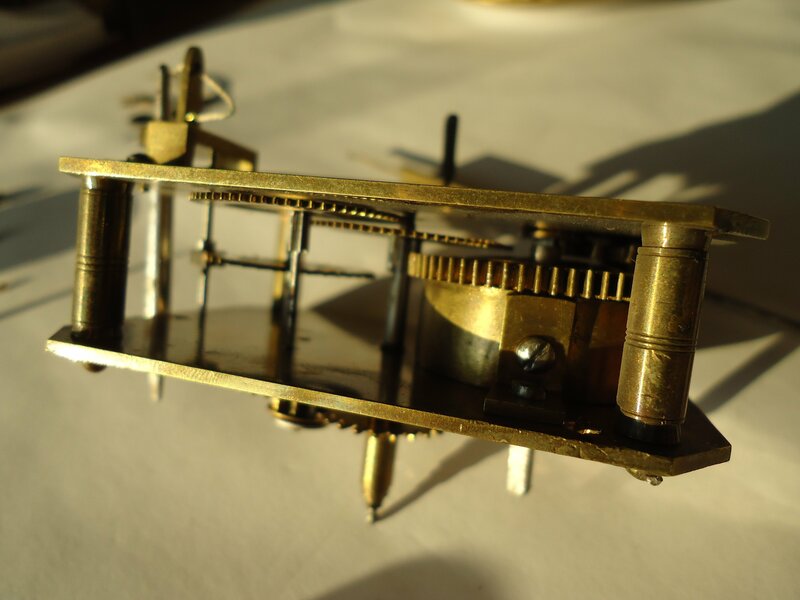 The mechanism of this small pendulum was completely disassembled . The single parts and wheels have been cleaned with appropriate liquid, and the old wire suspension has been replaced as no more working and not usable anymore. 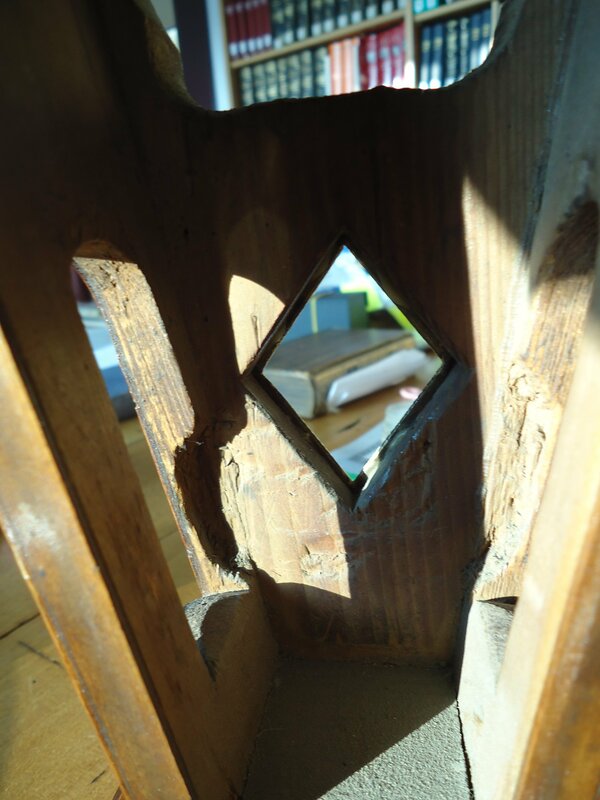 Then two holes for fixing the plate have been tightened, as released during all the past years. It took around two hours for repairing the clock. 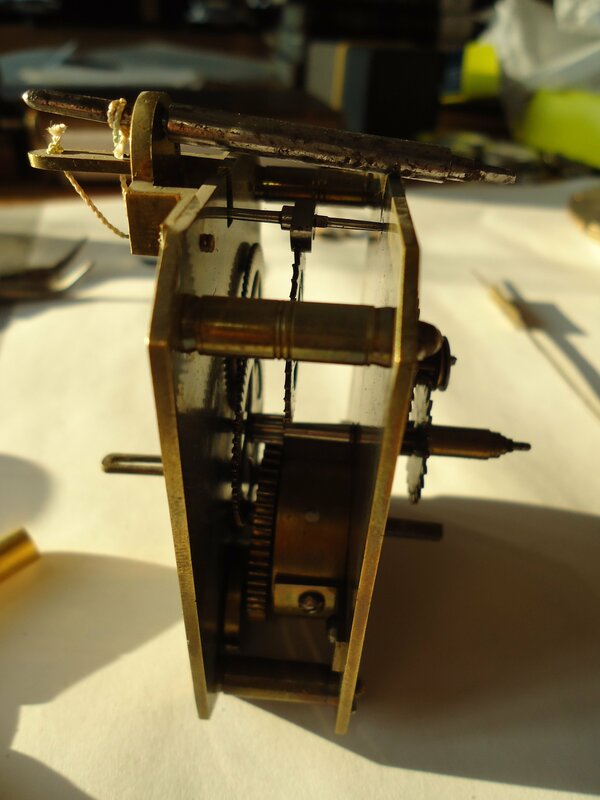 Here on the left the mechanism just revised, and preliminary tested on his carrure. 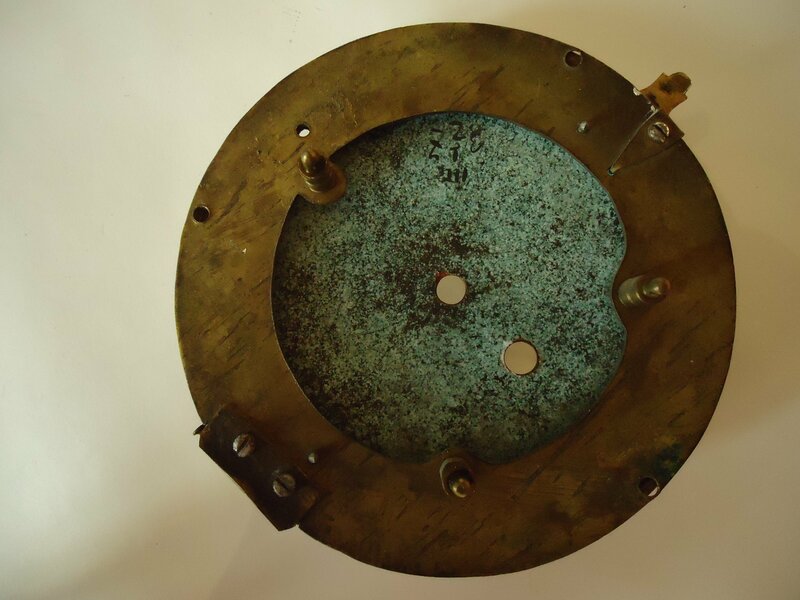 Here the clock, mounted and revised, ready to be located again in the room 9 of the museum. 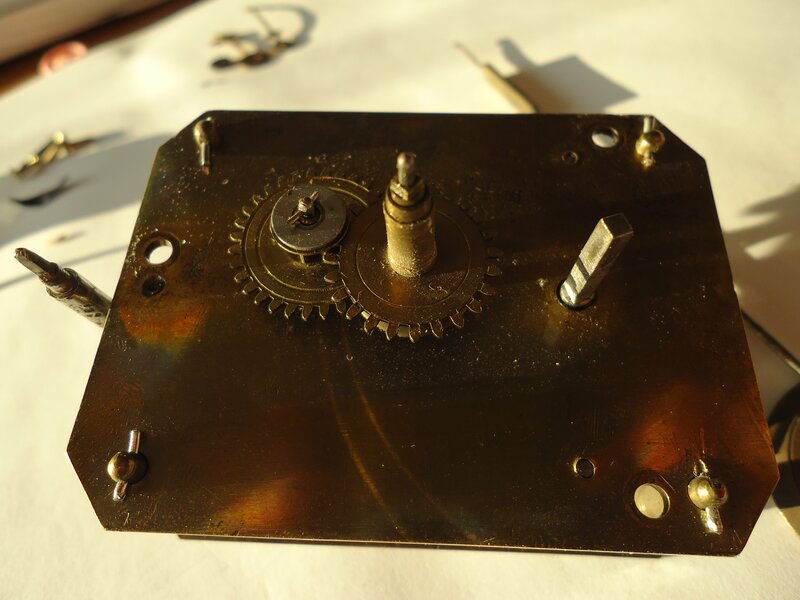 The video shows the complete part of the mechanism. 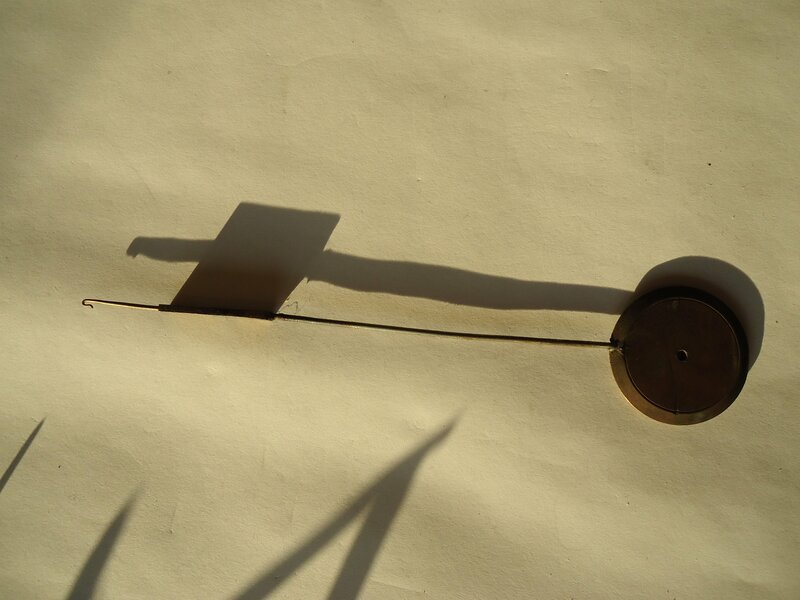 The pendolum belonged to Beethoven is a late Empire style, i.e. the Napoleon style that is going towards a neoclassical style. Then, as it was in the Austrian Empire, most of the objects were slightly modified according to the country style. 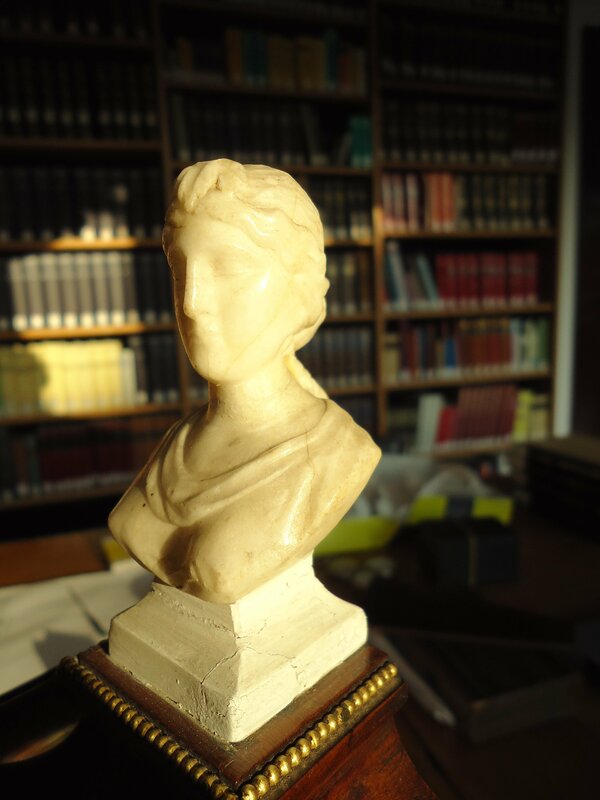 The small bust above the clock (maybe fixed later, as there is a great use of glue that could mean a repair of it or a change of a previous decoration , maybe made of golden bronze) can be identified as a Minerva or is fixed in a later stage as a Cornelia, or an example of Roman Virtus, or a Santa Cecilia. 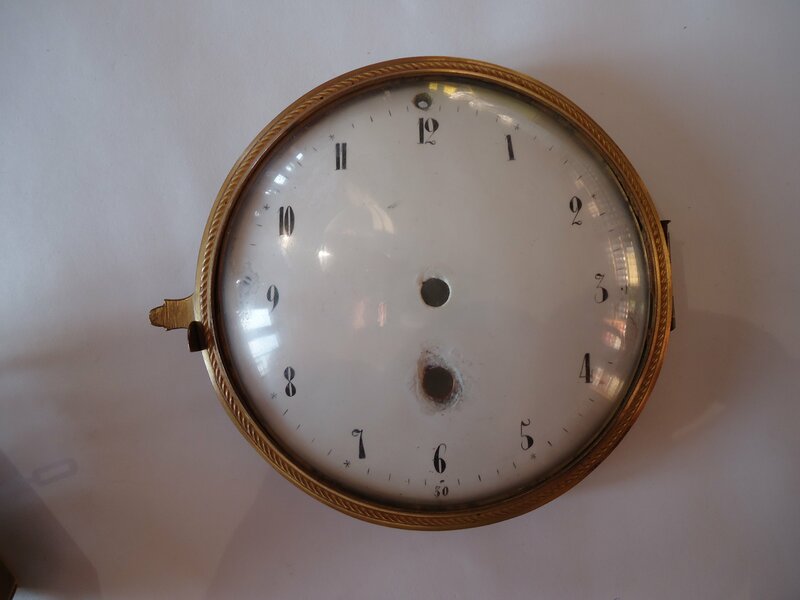 The marmour is just recolled in the edamel of the dial whereas all the other decorations are in gilded bronze.